England's crushing defeat by France, the dominant naval power, in naval engagements culminating in the 1690 Battle of Beachy Head, became the catalyst for England's rebuilding itself as a global power. England had no choice but to build a powerful navy. No public funds were available, and the credit of William III's government was so low in London that it was impossible for it to borrow the £1,200,000 (at 8% p.a.) that the government wanted. As a side effect, the huge industrial effort needed, including establishing ironworks to make more nails and advances in agriculture feeding the quadrupled strength of the navy, started to transform the economy. This helped the new Kingdom of Great Britain – England and Scotland were formally united in 1707 – to become powerful. The power of the navy made Britain the dominant world power in the late 18th and early 19th centuries. 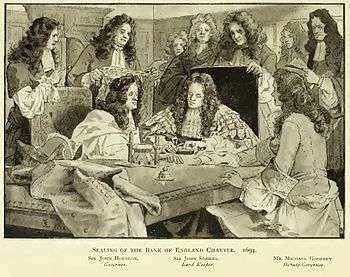 The establishment of the bank was devised by Charles Montagu, 1st Earl of Halifax, in 1694. The plan of 1691, which had been proposed by William Paterson three years before, had not then been acted upon. (It is worth noting though, that 28 years earlier, in 1636, Financier to the king Philip Burlamachi had proposed exactly the same idea in a letter addressed to Sir Francis Windebank.) He proposed a loan of £1.2m to the government; in return the subscribers would be incorporated as The Governor and Company of the Bank of England with long-term banking privileges including the issue of notes. The Royal Charter was granted on 27 July through the passage of the Tonnage Act 1694. Public finances were in so dire a condition at the time that the terms of the loan were that it was to be serviced at a rate of 8% per annum, and there was also a service charge of £4,000 per annum for the management of the loan. The first governor was Sir John Houblon, who is depicted in the £50 note issued in 1994. The charter was renewed in 1742, 1764, and 1781. The Bank moved to its current location in Threadneedle Street in 1734, and thereafter slowly acquired neighbouring land to create the edifice seen today. Sir Herbert Baker's rebuilding of the Bank, demolishing most of Sir John Soane's earlier building, was described by architectural historian Nikolaus Pevsner as "the greatest architectural crime, in the City of London, of the twentieth century". When the idea and reality of the National Debt came about during the 18th century, this was also managed by the Bank. By the charter renewal in 1781 it was also the bankers' bank – keeping enough gold to pay its notes on demand until 26 February 1797 when war had so diminished gold reserves that - following an invasion scare caused by the Battle of Fishguard days earlier - the government prohibited the Bank from paying out in gold by the passing of the Bank Restriction Act 1797. This prohibition lasted until 1821. Britain remained on the gold standard until 1931 when the gold and foreign exchange reserves were transferred to the Treasury, but they continued to be managed by the Bank. During the governorship of Montagu Norman, from 1920–44, the Bank made deliberate efforts to move away from commercial banking and become a central bank. In 1946, shortly after the end of Norman's tenure, the bank was nationalised by the Labour government. In 1977, the Bank set up a wholly owned subsidiary called Bank of England Nominees Limited (BOEN), a private limited company, with two of its hundred £1 shares issued. 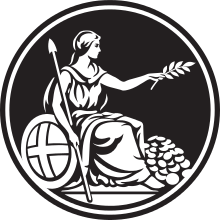 According to its Memorandum & Articles of Association, its objectives are: "To act as Nominee or agent or attorney either solely or jointly with others, for any person or persons, partnership, company, corporation, government, state, organisation, sovereign, province, authority, or public body, or any group or association of them...." Bank of England Nominees Limited was granted an exemption by Edmund Dell, Secretary of State for Trade, from the disclosure requirements under Section 27(9) of the Companies Act 1976, because "it was considered undesirable that the disclosure requirements should apply to certain categories of shareholders." 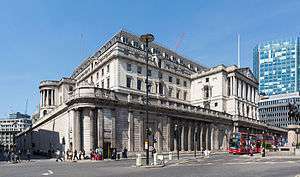 The Bank of England is also protected by its Royal Charter status, and the Official Secrets Act. 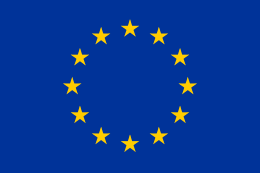 BOEN is a vehicle for governments and heads of state to invest in UK companies (subject to approval from the Secretary of State), providing they undertake "not to influence the affairs of the company". BOEN is no longer exempt from company law disclosure requirements. Although a dormant company, dormancy does not preclude a company actively operating as a nominee shareholder. BOEN has two shareholders: the Bank of England, and the Secretary of the Bank of England. On 6 May 1997, following the 1997 general election which brought a Labour government to power for the first time since 1979, it was announced by the Chancellor of the Exchequer, Gordon Brown, that the Bank would be granted operational independence over monetary policy. Under the terms of the Bank of England Act 1998 (which came into force on 1 June 1998), the Bank's Monetary Policy Committee was given sole responsibility for setting interest rates to meet the Government's Retail Prices Index (RPI) inflation target of 2.5%. The target has changed to 2% since the Consumer Price Index (CPI) replaced the Retail Prices Index as the Treasury's inflation index. If inflation overshoots or undershoots the target by more than 1%, the Governor has to write a letter to the Chancellor of the Exchequer explaining why, and how he will remedy the situation. Mark Carney assumed the post of Governor of the Bank of England on 1 July 2013. He succeeded Mervyn King, who took over on 30 June 2003. Carney, a Canadian, will serve an initial five-year term rather than the typical eight, and will seek UK citizenship. He is the first non-British citizen to hold the post. As of January 2014, the Bank also has four Deputy Governors. To help maintain economic stability, the Bank attempts to broaden understanding of its role, both through regular speeches and publications by senior Bank figures, a semiannual Financial Stability Report, and through a wider education strategy aimed at the general public. It maintains a free museum and runs the Target Two Point Zero competition for A-level students. The Bank is custodian to the official gold reserves of the United Kingdom and many other countries. The vault, beneath the City of London, covers a floor space greater than that of the third-tallest building in the City, Tower 42, and needs keys that are three feet (90 cm) long to open. As at around 2011, the Bank held around 4600 tonnes of gold. These gold deposits were estimated in February 2012 to have a current market value of £156,000,000,000. Since 2013, the Bank has had a chief operating officer (COO). As of 2015, the Bank's COO has been Charlotte Hogg. As of 2014, the Bank's chief economist is Andrew Haldane. ↑ "House of Commons Debate 29th October 1945, Second Reading of the Bank of England Bill". Hansard.millbanksystems.com. Retrieved 12 October 2012. ↑ "Bank of England Act 1946" (PDF). Retrieved 12 October 2012. ↑ "Freedom of Information – disclosures". Bank of England. Retrieved 29 September 2013. ↑ "BBC On This Day - 6-1997: Brown sets Bank of England free". Retrieved 14 September 2014. ↑ "Bank of England - About the Bank". Retrieved 14 September 2014. ↑ "Bank of England: Relationship with Parliament". Archived from the original on 8 July 2009. Retrieved 14 September 2014. 1 2 "The Bank of England's Role in Regulating the Issue of Scottish and Northern Ireland Banknotes". Bank of England website. Retrieved 31 October 2011. ↑ "Act of Parliament gives devolved responsibility to the MPC with reserve powers for the Treasury". Opsi.gov.uk. Retrieved 10 May 2010. 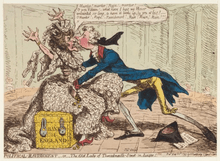 ↑ Historic UK, "The Old Lady of Threadneedle Street". Accessed 18 March 2012. ↑ "Exchanging for an individual at the Bank of England counter". Bank of England. Retrieved 8 November 2016. ↑ Topham, Gwyn. "Bank of England to close personal banking service for employees". The Guardian. Retrieved 8 November 2016. ↑ Bagehot, Walter (1873). Lombard Street : a description of the money market. London: Henry S. King and Co.
↑ "BBC: Empire of the Seas programme". webcache.googleusercontent.com. Retrieved 10 May 2010. ↑ Committee of Finance and Industry 1931 (Macmillan Report) description of the founding of Bank of England. Books.google.ca. 1 January 1979. ISBN 9780405112126. Retrieved 10 May 2010. "Its foundation in 1694 arose out the difficulties of the Government of the day in securing subscriptions to State loans. Its primary purpose was to raise and lend money to the State and in consideration of this service it received under its Charter and various Act of Parliament, certain privileges of issuing bank notes. The corporation commenced, with an assured life of twelve years after which the Government had the right to annul its Charter on giving one year's notice. '''Subsequent extensions of this period coincided generally with the grant of additional loans to the State'''"
↑ "MITHRA i. MITRA IN OLD INDIAN – Encyclopaedia Iranica". www.iranicaonline.org. Retrieved 2016-09-20. ↑ "Bank of England: Buildings and Architects". The Bank of England. Retrieved 31 July 2015. ↑ "From lender of last resort to global currency? Sterling lessons for the US dollar". VOX. 23 July 2011. Retrieved 8 May 2014. ↑ "Proceedings of the House of Commons, 21st April 1977". ↑ "Guardian article on Queen's private wealth, 30th May 2002". The Guardian. London. 30 May 2002. ↑ "Proceedings of the House of Lords, 26th April 2011". ↑ "Bank of England Nominees Company Accounts". ↑ "Example of a Dormant Nominee Company". ↑ "Freedom of Information Act response regarding Bank of England Nominees Limited" (PDF). ↑ The Scourge of Monetarism. Oxford University Press. 1 Jan 1982. ISBN 9780198771876. Retrieved 19 August 2016. ↑ "Key Monetary Policy Dates Since 1990". Bank of England. Archived from the original on 29 June 2007. Retrieved 20 September 2007. ↑ "Remit of the Monetary Policy Committee of the Bank of England and the New Inflation Target" (PDF). HM Treasury. 10 December 2003. Archived (PDF) from the original on 26 September 2007. Retrieved 20 September 2007. ↑ "Monetary Policy Framework". Bank of England. Retrieved 31 October 2016. ↑ The Return of the Master. Public Affairs. 2009. ISBN 1610390032. Retrieved 19 August 2016. ↑ Walters, A. A. 1971. "Consistent Expectations, Distributed Lags and the Quantity Theory," Economic Journal, vol. 81, no. 322, pp 273-81. ↑ "Mark Carney named new Bank of England governor". BBC. 26 November 2012. Retrieved 26 November 2012. ↑ "The Bank's core purposes" (PDF). Annual Report 2011. Bank of England. Retrieved 24 October 2011. ↑ Bank of England – Yield Curves by Internet Archive. ↑ "Memorandum of Understanding between the HM Treasury, the Bank of England and the Financial Services Authority" (PDF). Archived from the original (PDF) on 3 December 2010. Retrieved 10 May 2010. ↑ "Sale of Bank Note Printing". Bank of England. Retrieved 10 June 2006. ↑ "Bank of England: Education". Bank of England. Archived from the original on 29 March 2007. Retrieved 28 March 2007. 1 2 "Asset Purchase Facility". Bank of England. Archived from the original on 26 July 2010. Retrieved 12 August 2010. ↑ "£2 note issued by Evans, Jones, Davies & Co.". British Museum. Retrieved 31 October 2011. ↑ "A brief history of banknotes". Bank of England website. Retrieved 31 October 2011. ↑ "Fox, Fowler & Co. £5 note". British Museum. Retrieved 31 October 2011. ↑ Trevor R Howard. "Treasury notes". Archived from the original on 5 December 2007. Retrieved 12 October 2007. ↑ "Record £53m stolen in depot raid". Retrieved 14 September 2014. ↑ "Banknote Production". 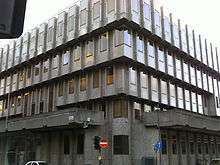 bankofengland.co.uk. Bank of England. Archived from the original on 10 March 2012. ↑ Hanlon, Mike (22 October 2008). "The Big Picture: This vast vault of gold under the Bank of England should weather the credit crunch". Daily Mail. London. ↑ "Inside the vaults of the Bank of England | The Sun |News". The Sun. 2 February 2012. Retrieved 25 August 2012. ↑ "Governors of the Bank of England: A chronological list (1694 – present)" (PDF). Bank of England. Retrieved 17 July 2014. ↑ Court of Directors Website der Bank of England. Accessed 1 February 2015. ↑ "News Release - Appointment of Chief Operating Officer". Bank of England. 18 June 2013. Retrieved 3 September 2015. ↑ "Charlotte Hogg - Chief Operating Officer". Bank of England. Retrieved 26 August 2015. ↑ "Bank of England Keeps Rates Steady". ABC News. Associated Press. 22 October 2014.